^ I only had 3 yuans in my pocket but he would not let me buy anything with that. At least, this tough business man allowed me to take a picture of him. 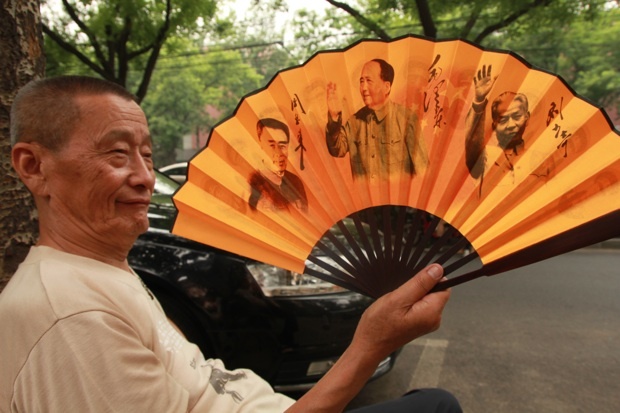 ^ The car park day watcher showing his “communist” fan. On the other side, you have notorious PLA officers. 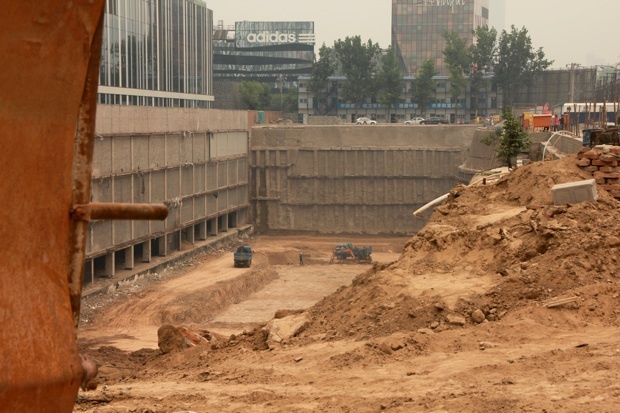 ^ A new shopping mall is underway in front of crowdy Sanlitun village, next to the empty Soho Sanlitun residential compound. 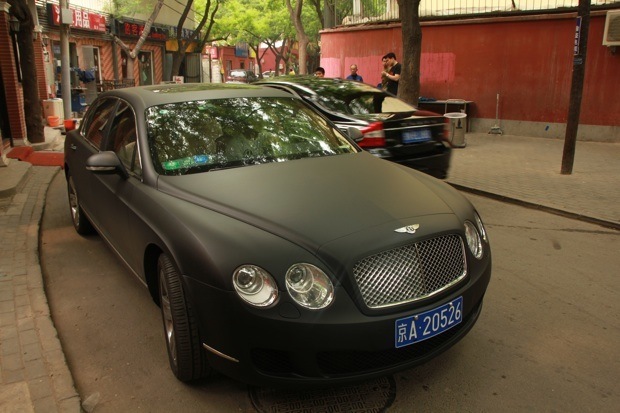 ^ Well, another matt Bentley car. I have never seen so many matt luxurious cars elsewhere than in China. Most of the time, owners are 25 years old and delightfully spend their parents’ cash who have no choice than traveling in these gloomy Audi A6L. If I was British, how would I react? 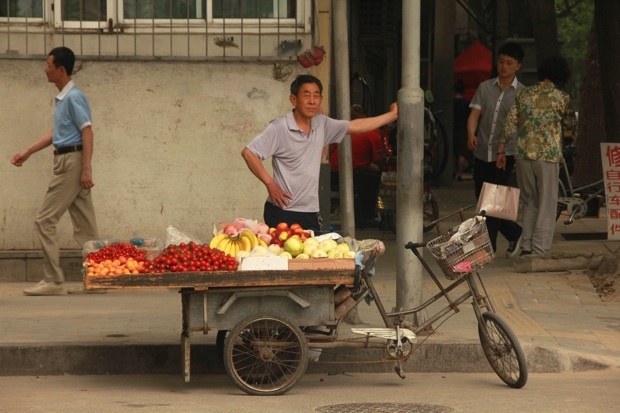 This entry was posted in daily life, photos and tagged beijing, chine, p. Bookmark the permalink.